One of my favorite things is finishing off my handmade garments with a label. I feel like it makes my clothing look so much more polished when hanging in my closet, and it makes me feel super official! I had no idea how much I would love this, until my best friend surprised me with some “Handmade by Elizabeth” labels as a Christmas gift in 2016 after I began sewing. I LOVED them, and I was so excited to add them to all of my makes from then on out. I finally ran out of these labels over the summer, and I began to look around at options to replace them. The labels I’d been using were woven and multicolored, and I loved that I could match the color of the labels to the color of my garments for a special little touch. 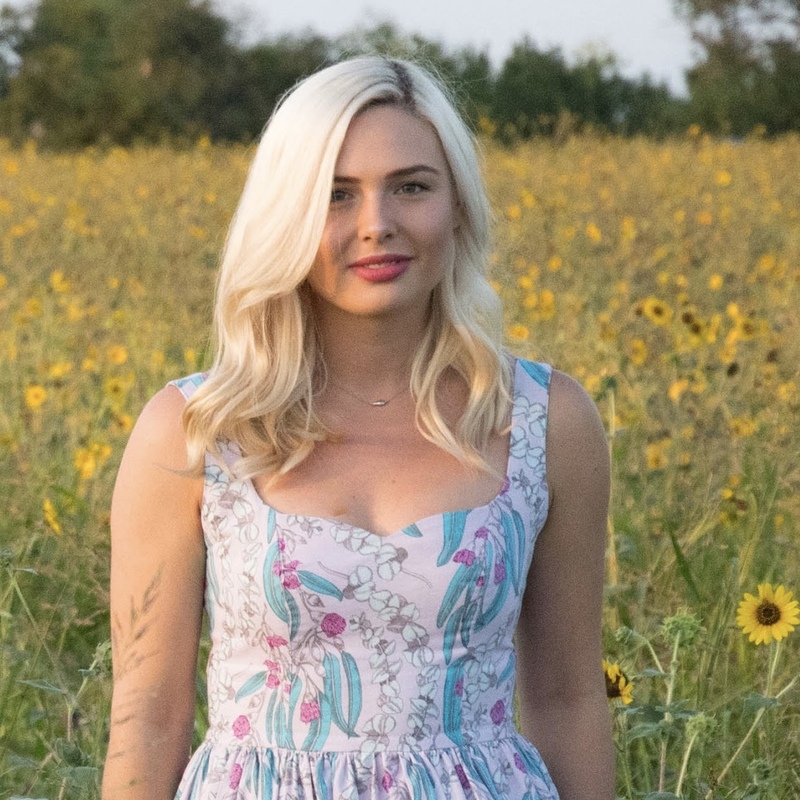 However, they were a bit thin and flimsy, and I found them hard to keep them where I wanted them to sew in place… And I also found that despite my tiny stitches around the outside of the label, they tended to unravel after a couple of washes. 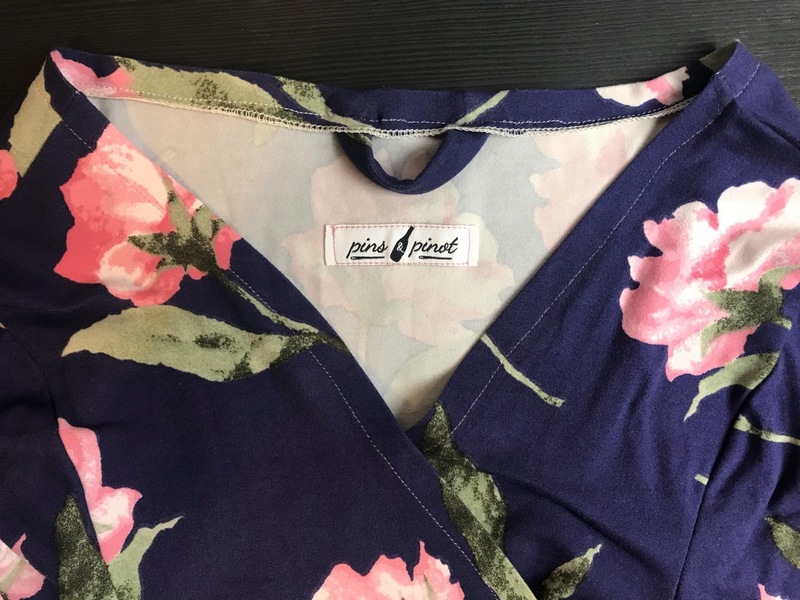 Thanks to the awesome online sewing community, I was able to fix part of this issue by applying WonderTape to the back of my labels to hold them in place before sewing – GENIUS! But the unraveling was still an issue I was hoping to nix with my next batch! So I reached out to the online sewing world for suggestions, and overwhelmingly, Dutch Label Shop was a winner. 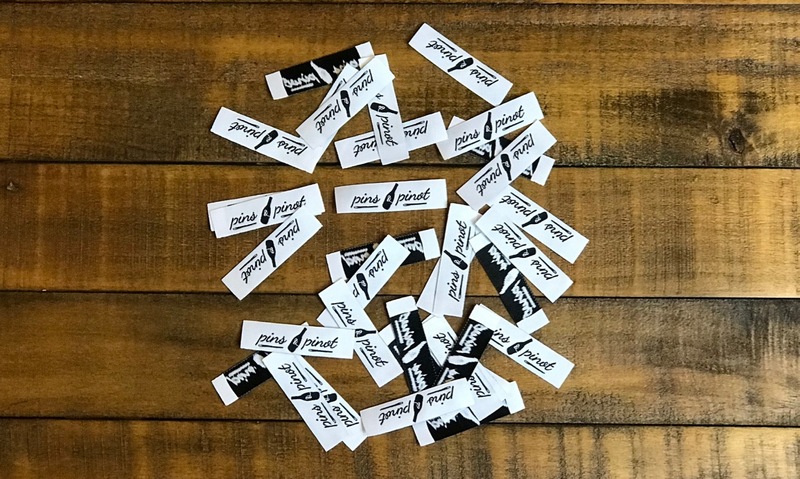 Not only can you get some great standard labels, but they will also custom make labels with your own personal logo on them. 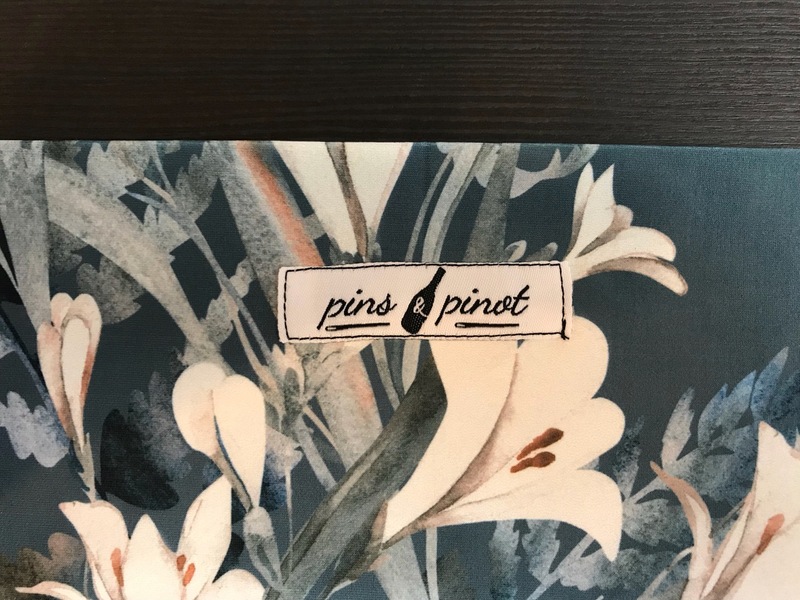 When I first started sewing, Pins & Pinot was simply the name on my Instagram. However, since starting my blog and becoming much more involved in the sewing community, I love having a recognizable logo and thought this was the perfect way to utilize it. I began to design my labels online, and was so excited. Design options are infinite here, and I loved going through the process of choosing exactly what I wanted for my labels. I began by selecting custom woven brand labels, and uploading an image of my logo. 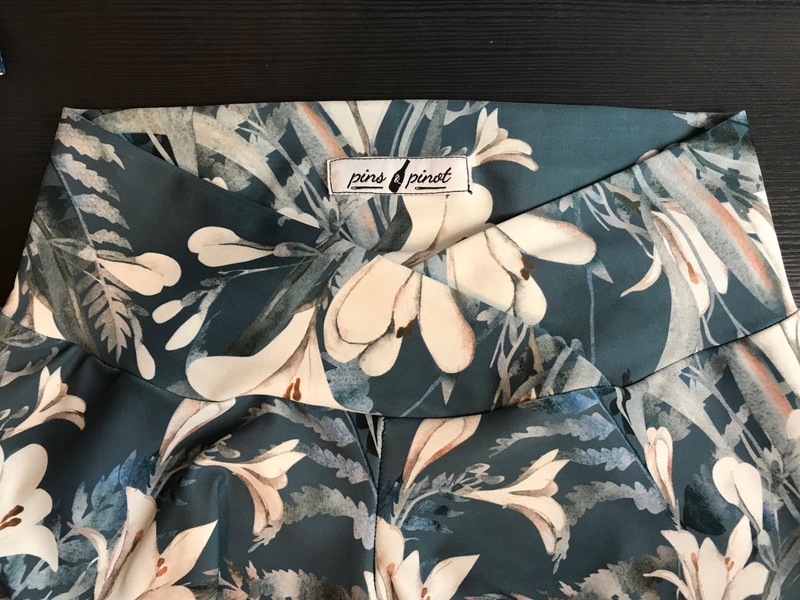 I like having my labels sewn in on all four sides, so I chose a straight label with taffeta edging – my understanding is that the taffeta edging adds stability and decreases the chances of unraveling, which was exactly what I needed!! 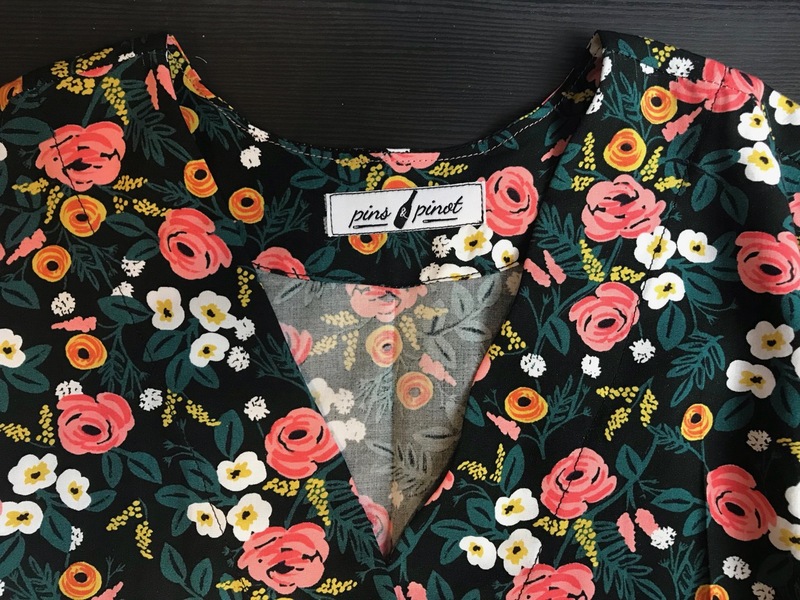 If you aren’t a straight label type of person, they have countless options for folded edges in multiple orientations, as well as custom shaped, laser cut labels!! My logo is simply black and white, but the color options for custom logos are endless. I played around with the idea of adding some color to mine, just because I could, but ultimately I decided to keep it as it is in black and white. I did choose the double white background option, however, which helps to ensure that the dark text and image woven through my logo don’t obscure the plain white background. I received a photo proof within 5 days, and my order was sent out two days after that! As impressed as I was with the options and ease of the ordering process, I was even more impressed when the labels arrived. I received 300 labels, already individually cut and ready to be used. The quality is fantastic – they are soft and flexible, but sturdy enough that even if I forget to use the Wondertape trick, they don’t tend to bend or look too wonky once sewn in. The black and white looks fantastic, and the colors aren’t distorted whatsoever. 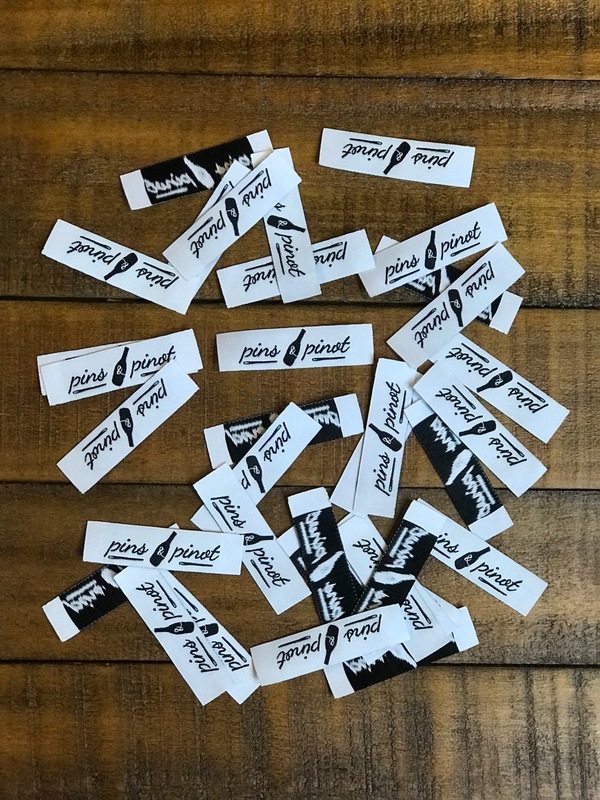 If you’re in the market for some labels, whether personalized or not, I would HIGHLY recommend checking out Dutch Label Shop. Their products are beautiful, and their customer service is fantastic, as well. I’ve been lucky enough to partner up with them today to offer a discount code for you guys – I’ve included it below! I hope you guys order some, and feel as awesome and official as I do when I sew them in. 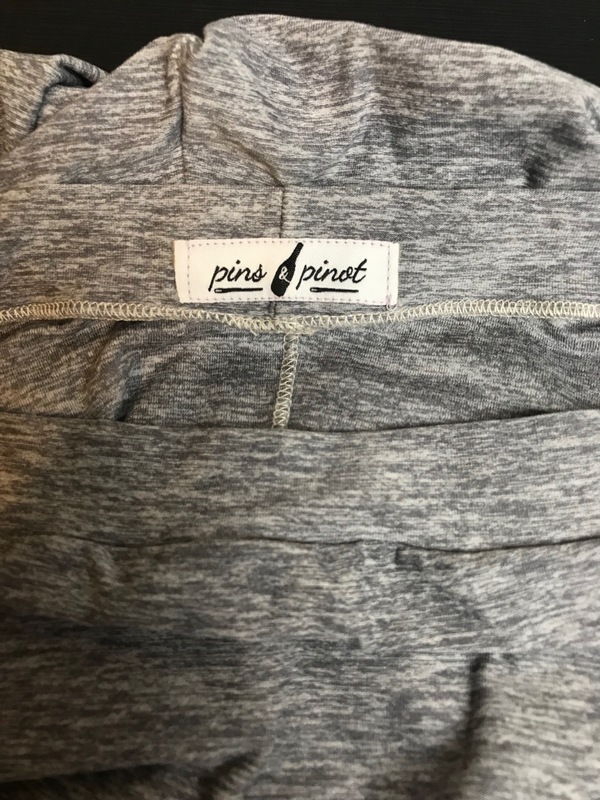 Labels: Dutch Label Shop – Custom Woven Labels – You can use discount code pinsandpinot15 for a 15% discount off of your purchase until November 17, 2018! I’ve been thinking about checking out Dutch Label’s for awhile now. Thanks for the code! Now I definitely have to give them a try!